I find traditional gyms pretty boring and I don't think I'm alone in these feelings. The Big Gym industry is aware of people's tendency to get bored with traditional gyms and has been looking for ways to make exercising more fun and engaging for quite a while. From Jane Fonda's tapes to yoga with goats, it seems like there's a way to exercise for everyone's taste. If you're into high-intensity training, flipping tires and want people to dislike you: there's Crossfit, if you don't think group exercising isn't embarrassing enough and want to show the world how tone-deaf you are: there's Zumba, and if you want to get yelled at in the privacy of your own home there's always Shaun T's Insanity workouts. But what if you want your exercise-ing to do more good than just for your own body and mind? In comes GoodGym, a way to combine exercise with doing good. 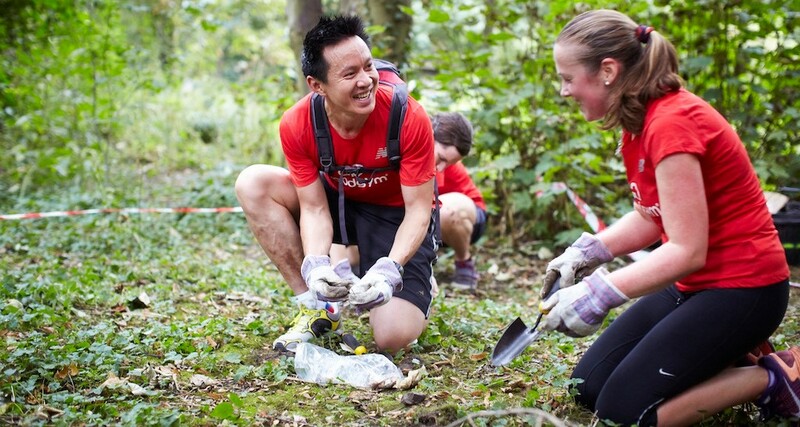 GoodGym is a UK based social initiative combining exercise with helping your local community. It was founded by people who were frustrated by all the energy that is wasted in regular gyms and wanted to channel this energy towards something useful. So they came up with the idea for GoodGym: matching neglected social tasks with people who want to stay active. This idea won the first prize Social Innovation camp in 2008 and in the past 10 years GoodGym spread all over the UK and is now operating in 47 areas. As a GoodGym member, you have three exercise options to choose from: mission runs, coach runs, and group runs. All three are based around the same initial concept: you run to and back from a task, one that is beneficial for your community. For example, in mission runs, the runner(s) run to help older people with one-time tasks they have trouble doing alone. This can be as simple as changing a light bulb or a little more intricate like helping someone sort out their garden. Attending GoodGym workouts is free of charge but since the organisation is a non-profit they depend on donations to keep things (and people) running. GoodGym is a literal breath of fresh air (you run outside!) from the proverbial hamster cage that we call the gym. With it you can check two boxes from your to-do-list at the same time: exercising and volunteering, two things everyone claims they don't have enough time for.